At the time, I couldn’t predict how far I would make it in the competition (so glad I’m still in it!). When the dish to remix for challenge #5 was announced, I was amazed at how perfect it was for me: reinventing pizza? Not a chore; rather, the perfect excuse to put my statement to the test and actually eat pizza at every meal, for one day. I circled Pizza Day on my calendar and started planning. When creating my pizzas, I made sure they were different enough that E would get through the day (he quickly crosses the too-much-dough point), and I reminded myself not to overdo it: a few carefully chosen ingredients go a long way. Dough: I prepared my dough bases the lazy way, using my bread machine. It goes through the kneading/rising process for you (love it!). Dough can also be breezily made with a stand mixer. More adventurous cooks also make it with their own two hands! 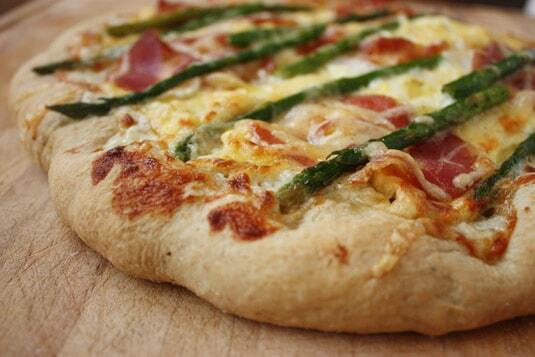 Any way you make it, homemade dough is key to a successful homemade pizza. Cooking: A pizza stone is what ensures a crunchy crust. You can buy one for under $40 or use a large unglazed terracotta tile (probably cheaper to buy). The stone must be made of natural clay: its porous texture absorbs excess moisture from the dough and keeps the crust crisp. The stone is put in the oven before being heated at a very high temperature (450°F). The high temperature and evenly heated pizza stone gets your home oven as close to a wood-fired stone oven as it can possibly be. 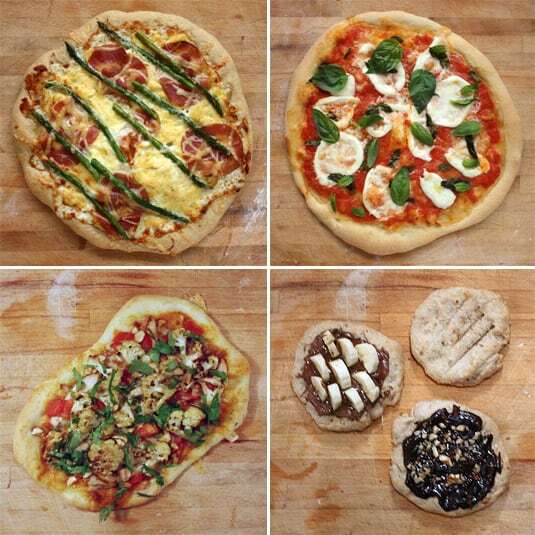 UPDATE: I published the complete detailed recipes to make the following delicious pizzas. 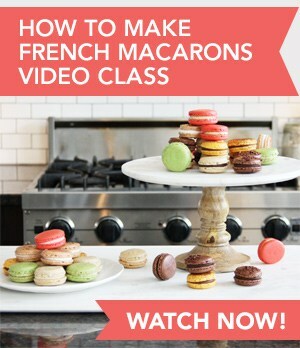 Click here to get cooking! Tasting notes: I always eat whole wheat toast in the morning, so this choice of a nutty-flavored crust made my pizza feel more breakfasty. The classic Mornay sauce, a Béchamel with added Gruyère and Parmesan cheese, had a very creamy texture and kept the eggs moist. Since we like our eggs scrambled, I barely cooked them in pancetta fat and poured them on the pizza while they were still very runny, and they finished cooking in the oven. The pancetta brought a welcome crunchy and salty bite to an otherwise mild-tasting pizza. The Gruyère’s lightly salty and nutty character brought it all together. 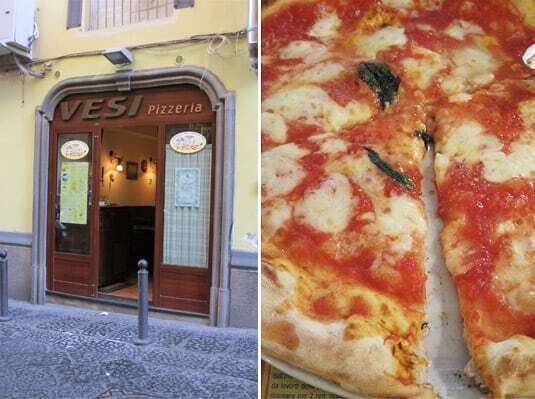 Just last week, I was having an authentic pizza Margherita in Naples, where pizza is thought to have been invented. 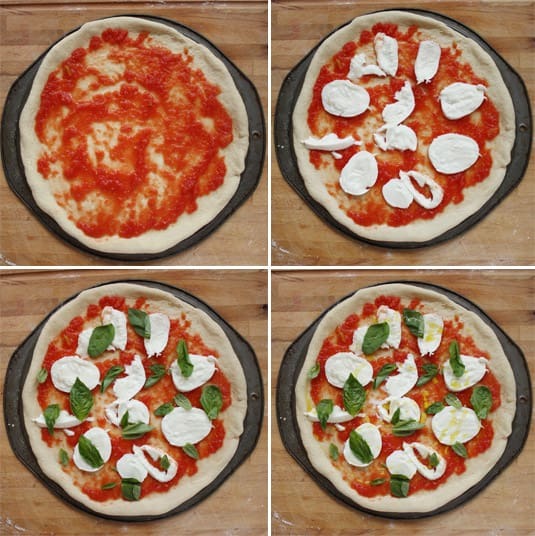 It is very simple but ultimately satisfying, and Neapolitans take the making of this pizza very seriously: its process has been registered by an association dedicated to making sure pizzerias claiming to serve authentic Neapolitan Pizza follow the rules. 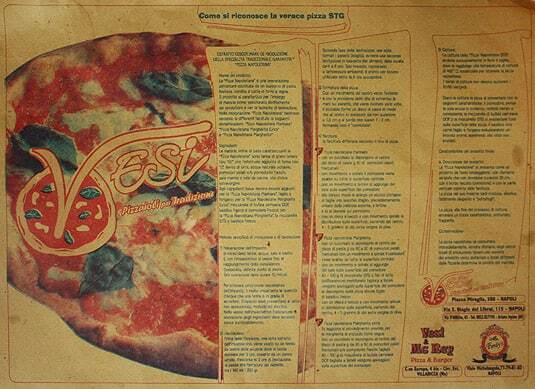 The pizzeria where we had our Neapolitan pizza had the certified recipe printed on its placemats, so I brought it back home to be able to make it again. The Neapolitan pizzeria where we had an authentic Pizza Margherita last week. 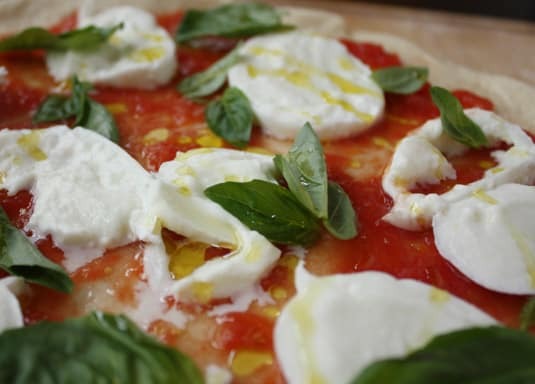 The placemat providing the recipe to make an authentic “Pizza Napoletana Margherita”. Tasting notes: This dough was made from high-protein semolina flour (the same kind that’s used to make pasta), which added a lot of chewiness – I found that this crust is the one that most closely resembles the ones we had in Italy. This is pure pizza perfection: crunchy, chewy, tangy, salty, creamy and peppery. 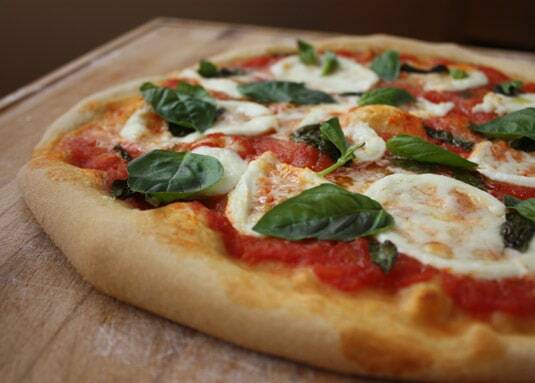 My very own Neapolitan Pizza Margherita. 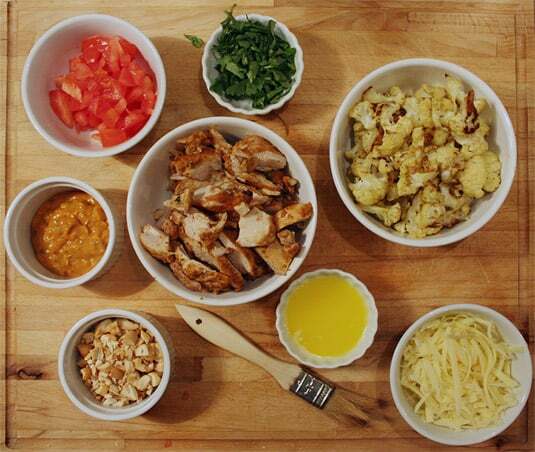 A selection of toppings to make an Indian pizza: diced tomatoes, fresh coriander, roasted cauliflower, grated aged cheddar cheese, clarified butter, tandoori chicken, chopped cashew nuts and curry sauce. Tasting notes: This was the one to bring E to my pizza-loving side. He loves Indian cuisine and I love to cook it. I opted for two classic Indian dishes, Tandoori chicken and roasted curried cauliflower. My Naan bread recipe contained yogurt which brought a zesty flavor that was echoed by the tandoori marinade. The chicken thighs were juicy and the tender and slightly spicy cauliflower was the star of the dish. Tomatoes added a juicy bite, cashews, a mellow nutty flavor and coriander, a zesty and bright ending. I took a shortcut by choosing a favorite store-bought sauce that linked it all together. 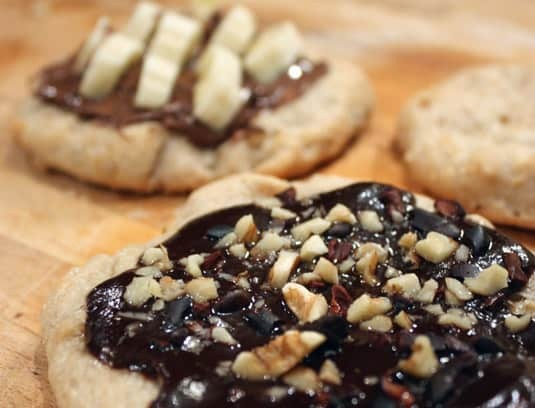 A selection of toppings for sweet mini-pizzas: Nutella, dark chocolate, butter, sugar, cocoa nibs, chopped walnuts and banana. Tasting notes: Toasted walnut bread with Nutella spread over it was the inspiration for my dessert pizza. The unsweetened walnut fougasse was the ideal tender base. I brushed the mini-pizzas with butter and sprinkled them with sugar before baking. Once puffed and slightly golden, I slathered them with chocolate and topped them with more walnuts, cocoa nibs and bananas. I also tried one simply drizzled with honey and loved it. Needless to say, it was the perfect sweet ending to our pizza day. Front: Nutella and banana; back: dark chocolate, cocoa nibs and chopped walnuts; right: honey-drizzled. So, would I really eat pizza “every day, at every meal”? Well, maybe not literally, but it seems as though I will never get bored with it. Our day didn’t feel repetitive at all: we enjoyed completely different flavors, at every meal. We’ve even enjoyed eating leftovers: Naan bread for lunch with soup; chocolate, walnut and banana mini-pizzas for breakfast. The experiment proved pizza to be the perfect blank canvas: different crusts and toppings provide endless variations. This is my entry to Project Food Blog 2010 Challenge #5. If you liked this post, click here to vote for me. Voting is open from Oct. 18th through Oct. 21st. A big thank you to all who voted for me in the first four challenges! very cool cooking style. I am so hungry after looking at all of your pictures. These look simply amazing! I can admit, with some guilt, that I could certainly spend the day gobbling up these lovely pizzas! Congratulations on a fine post and good luck. Oh, you are right there where pizza was invented! How fortunate you are. So, naturally your entry is fabulous! Great job on all of them. Happy to give my vote! All I can say is that you're true to your word! With pizzas like those, who wouldn't want to eat them all day?! Definitely voting for you! I am totally in love with pizza-for-a-day idea. This could be huge. I think you're a visionary. Plus, the dinner pizza sounds too yummy to even describe. Superb job, good luck in the next round. Cheers! Oh, wow. That Indian pizza looks fabulous! I'm with you sister! Eat pizza at every meal! I love your creations, especially the Indian. Or maybe the dessert. Ok, all of them :-) Voting for you now! I thought of doing this too (well actually, my sister thought of it) so naturally, I'm partial to the idea! You executed it so well! Love it! You have a vote from me. For my entry, I made pizza for all the wrong times of day: some Deep Dish Pizza Cupfakes and Pizzas Benedict :) Come see if you'd like! great entry! I like them all. What a clever idea! And all of your pizza variety look scrumptious. Thank you, they really were delicious, I get hungry just by looking at them. Thank you! I'll go and read your entry but I already love the Savory Strawberry Pizza idea! Good luck to you! 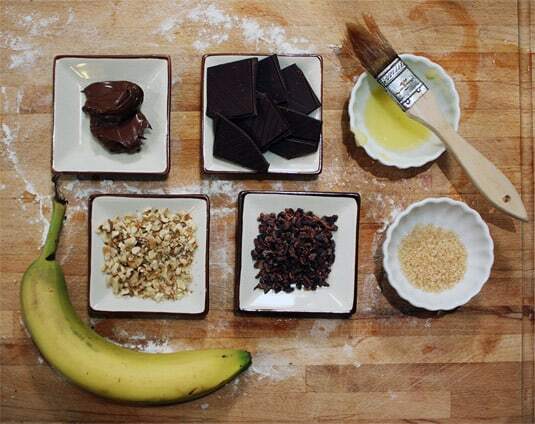 PS – try carmelizing your bananas first if you repeat the dessert pizzas! I bet it would be out of this world! Wonderful idea! Maybe I would forgo the chocolate and serve the caramelized bananas over salted caramel… Wow, this would be scrumptious! That's the great thing about pizza, you never get tired of reinventing it. 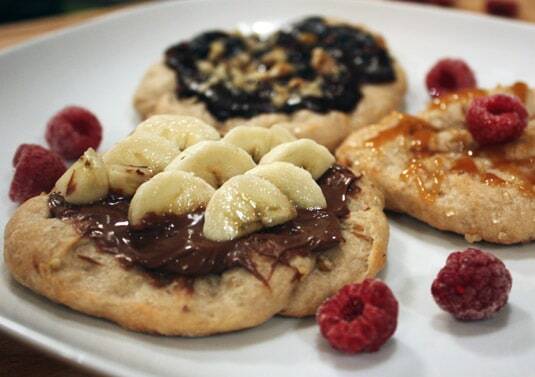 yum, these all look amazing! delicious recipes – good luck! Thank you! They didn't only look amazing, they tasted amazing too! I especially liked the Indian one, very tasty. I would definitely eat pizza all day long if it were like these! I love it all! Great job. Voted! Thank you! Very appreciated! 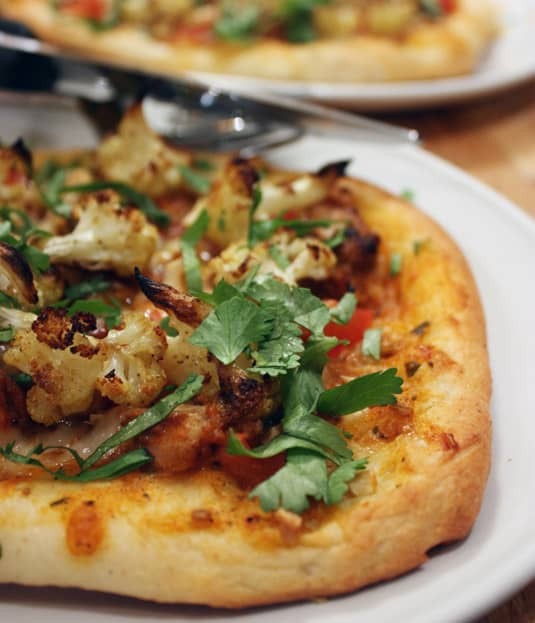 I love your idea of incorporating kimchi in a pizza's tomato sauce, what a way to kick it up a notch! I'll try it next time for sure! Isn't it? I planned my menu on Monday and Pizza Day was Friday. I looked forward to it all week! I think I'm going to do this again! yummy! Love this. Got my vote! mmm…i could eat pizza for every meal! I know! And when you make it yourself, nobody can really say it's not healthy, especially with wheat crusts. It's the perfect dish! Brava! This agrees with my pizza-passion. I could have pizza every day, provided it were made like this! Thank you so much for your support Ele! We had fun in Naples and I think the pizza place we went to was pretty good. I wish we would have walked around the city with you though, would have been more fun :) I miss Italy already, I want to go back! I could do that too. 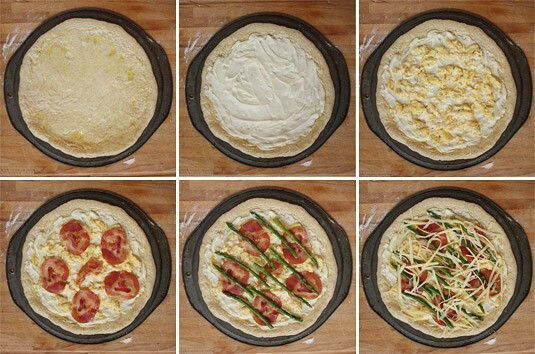 Scrambled egg pizza sounds particularly appetizing right now. I've often seen breakfast pizzas with a sunny side up egg cracked on top, but I don't like it! I was afraid the scrambled eggs would get too dry, but undercooking them and laying them on a cream sauce kept them deliciously moist. You should try it! I loved your menu. Yes! Pizza all day, every day. I'm not even tired of it yet, I thought of making one for lunch today. Not kidding.